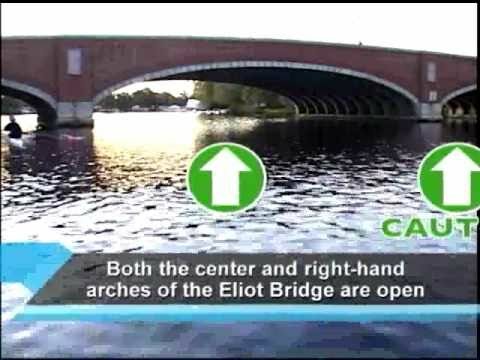 The Head Of The Charles Regatta, also known as HOCR or HOTC, is a rowing race held on the penultimate complete weekend of October each year on the Charles River, which separates Boston and Cambridge, Massachusetts. Since its origin in 1965, the Head Of The Charles Regatta® has welcomed the world’s best crew teams to the banks of the Charles River for the ultimate two-day rowing competition. Preparing for an event that attracts over 9,000 athletes and 300,000 spectators requires a great deal of preparation. The HOCR consists of a 15 member Board of Directors, 5 of which are in charge of race management and overseeing a twelve-member race committee (including two race co-chairs). The race committee meets year-round to discuss the operational and logistical details of the event. They are assisted by 80 leading volunteers on 30 separate committees that begin meeting weekly in the fall. A full-time, professional staff of four, headquartered in the Cambridge Boat Club, works year-round to plan the event, obtain sponsorship and communicate with the rowing community. In 1991, the trustees appointed Frederick V. Schoch to Executive Director of the Regatta. Schoch, a former secondary school English instructor, coached rowing for many years at Princeton, the U.S. Naval Academy and Georgetown. He founded the Challenge of the Hudson Regatta in New York and has been an active member of the U.S. Rowing National Team Coaching Staff. Currently, Schoch serves on the National Rowing Foundation Board of Directors and the FISA (the international governing body of the sport of rowing) Marketing and Media Commission. All of these individuals, including a staff of 1,400 dedicated volunteers, bring the Regatta to life every October and will continue to do so for years to come.